The store is 50 percent larger and offers an expanded inventory. A new, expanded Express Store at the Bay Tree Bookstore is now open for business. 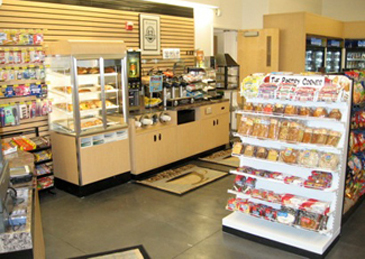 The new store is 50 percent larger and is at the south end of the Bay Tree Building It stocks a widely expanded inventory of teas, coffees, sandwiches, drinks, snacks, breakfast foods, pastries, and a host of convenience items. Summer hours through September 14th are Monday-Friday 7:30 a.m. to 5:30 p.m.; Saturday 10 a.m. to 4 p.m.; and closed Sundays. A grand opening is planned for the beginning of fall quarter.